Join other new parents and take away the anxiety and stress of feeding your little ones! Learn the fundamentals of giving first bites, explore best practices with experts and other parents, find out how easy it is to make your own baby food, stretch your body and mind and build community. Feeding 101 with Molly Knauer, M.S., R.D. Hi, I’m tracie, and mom to jonathan. I’m a veteran of the hospitality industry and spent over a decade launching new brand concepts and managing multi-million-dollar event departments. Born with a natural need for fitness, I grew up as a competitive dancer and have also taught fitness classes in NYC. In 2017 I decided to blend my passions for cuisine and wellness and created FIT&FEAST. 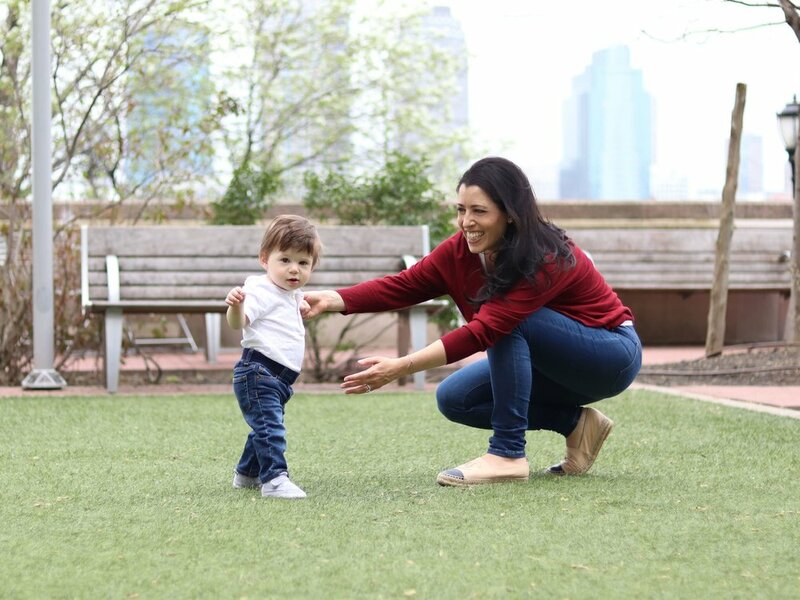 In 2018 I became a mom and have expanded the FIT&FEAST brand focusing on new parents and children. Giving them a safe space to gather, gain knowledge and explore feeding our children. Feeding my son has brought me the most joy I have ever felt when it comes to food, and I hope to share that with you. Hi, I’m Molly, and mom to Maxie. I’m a registered dietitian with a master's degree in clinical nutrition. You may be wondering how I got into nutrition. My interest began after being diagnosed with Ulcerative Colitis in high school. Despite doctors telling me that diet was not associated with my disease, I was on a mission to understand how food affected how I felt. I began cooking healthy meals for my family and I loved how it felt to bring loved ones together through food. Motherhood has allowed me to apply my knowledge to my daughter and I hope to show you how easy and fun it can be to feed your child. I truly believe that the best memories are made in the kitchen or around the dinner table.